This study draws upon Nordic/European cases of bioenergy regions. It includes Nordreisa in Troms, Norway, Pielinen Karelia in North Karelia, Finland, Östersund in Jämtland, Sweden, Hadeland in Norway and a region in north Italy. These regions have long traditions in utilizing the forest. The study focus on the role of people and networks in innovation and processes of local and regional development based on land-based biomass. In this way the project supplements the studies of technology and natural resources which are covered for instance in the scenarios of Nordic Energy Technology Perspectives 2016. The success factors of these bioenergy regions is found to be the public-private partnership between biomass producers (foresters, municipal waste companies, farmers), entrepreneurs/transformation industry (whether local forest associations, individual entrepreneurs or others), local/regional authorities, knowledge and resident groups. These actors bring specific knowledge and other resources into the biomass-bioenergy value chain. They represent different interests that are necessary for building long-term trust and relationships. 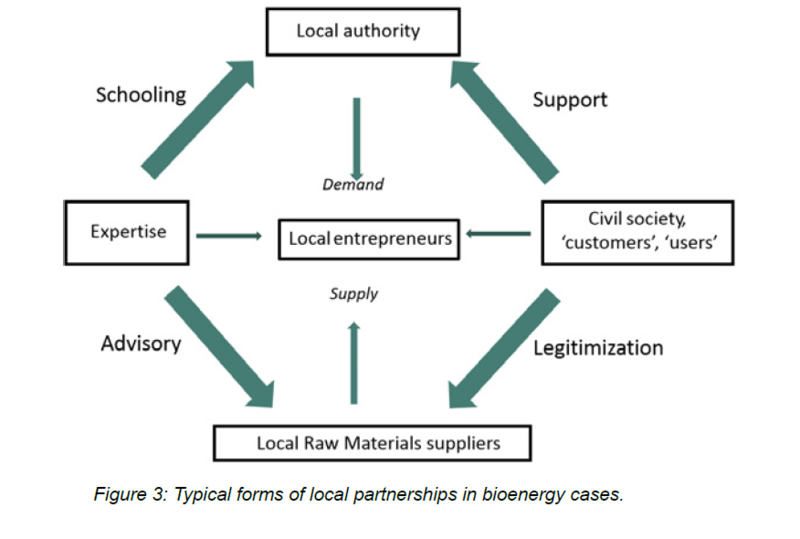 Finally, local and regional authorities play an especially crucial role in such processes, providing motivation (green branding), facilitating for networks/value chains, through plans and investments and by gaining support and acceptance within the local community. And most importantly, local authorities can help to build stable markets through their own choices (e.g. heating for own buildings, regulations for new facilities, investment in central infrastructures, prepare local adapted tenders etc.). Thereby local authorities can create a more secure and long-term climate for investors in bioenergy and other related activities. This is illustrated in the figure showing these local partnerships – also called Quintuple Helix. The project was presented at a full day seminar at Litteraturhuset, Oslo at June 22nd 2017. The discussion focused on the implications of the studies for policy making and strategic actions for further development of the Nordic bio economy and bioenergy. The growing demand for bio-resources increase the burdens on environmental and social sustainability, and also economic efficiency. This calls for considering both ethical aspects and regulatory systems to balance the various aspects of sustainability. “One size does not fit all” summarizes the discussion. Are available in a 10-page document, and includes recommendations for local and regional levels as well as recommendations for the national and the EU level. Click here for more. 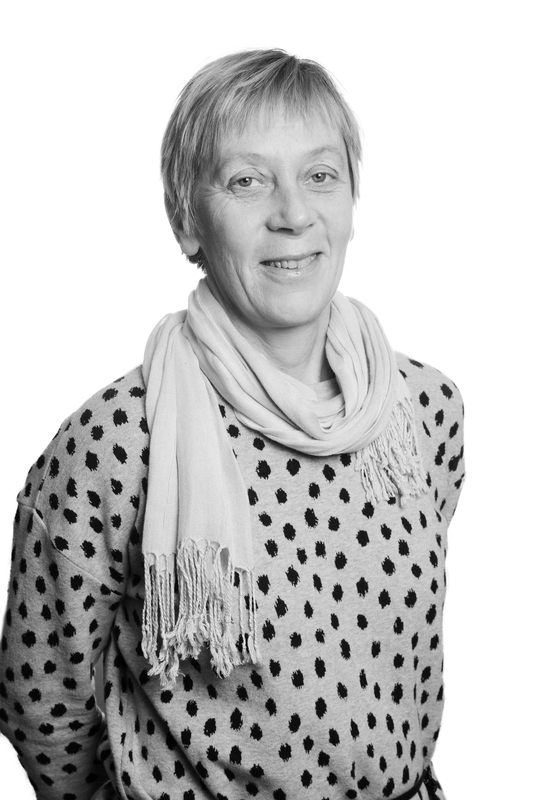 Project managers: Nordregio and the Norwegian Institute for Bio economy (NIBIO). The new forest biomass sustainability criteria – better than expected for the Nordic countries.